FTTC and FTTP broadband | What do they mean? Are they available near you? FTTC and FTTP: What are they? Are there providers in your area? Do you need FTTP or FTTC? Who provides FTTP and FTTC broadband? Looking for a new broadband package and interested in a very fast connection? You might have stumbled across acronyms such as FTTP and FTTC during your search. But what do they mean, and what relevance do these terms have to fibre broadband? In this guide we'll explain what you need to know about FTTP and FTTC, what they mean for your broadband speed and how to get an FTTC or FTTP broadband deal. 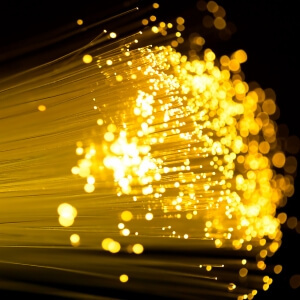 Fibre to the Premises (FTTP, or FTTH - Fibre to the Home) is a superfast broadband solution. Fibre to the Premises literally means that the fibre broadband internet connection from the local exchange is connected to the router in your home. Fibre cables are routed via submerged data nodes, rather than roadside cabinets. The result is you can enjoy very high speeds of 1Gbps (gigabits per second) or more. Though FTTP can also deliver lower speeds, which is useful if high speed fibre is beyond your budget but might be something you'll use later. Fibre to the Cabinet (FTTC) is an alternative broadband technology to FTTP, but one that results in slower broadband speeds. The reason FTTC is slower than FTTP is because the fibre cables from the local exchange (or data centre) stop at the local cabinet. From here, traditional copper cabling is used to pipe the data to your router. You may have noticed the installation of the new local cabinets, and the laying of cabling to them, over the past few years. These cabinets route data to your home, for voice and for internet, via existing copper cabling. FTTC is widely available, so most fibre optic broadband deals you'll find right now are using this technology. Virgin Media fibre is a similar technology called Hybrid Fibre Coaxial (HFC), which uses coaxial cables to reach our homes instead of copper telephone lines. These are available to deliver faster speeds, alongside telephone and TV services. Using Virgin you can currently get a maximum broadband speed of around 362Mbps. This is compared with up to 80Mbps on an FTTC Openreach network broadband service, which is what almost every other ISP uses. Which is the best broadband between FTTP and FTTC? If you're looking for a faster internet connection, you're probably best served by a service using FTTP or FTTC. But which one? For typical domestic users the heaviest usage is likely to come from streaming video, downloading files or playing games. But in many cases we just want to enjoy a spot of web browsing, social media and email. If you fall into the latter category then you don't necessarily need FTTP or FTTC. Instead, you can rely on a cheap ADSL connection. But if you enjoy a nightly Netflix movie or box set, frequently download (or upload) data, or are a gamer, then slower ADSL is less suitable. For these activities you're best off with FTTC, FTTP, or an equivalent package from Virgin Media. Another reason to get an FTTC or FTTP fibre optic broadband connection would be for handling the demands of a busy shared or family home. Even if you're mainly using the connection for web browsing, you could find it gets very slow when everyone is connected at once. Throw in some Netflix, Spotify, online gaming and downloading and only fibre will be able to keep up. ADSL is almost certainly unsuitable for most business uses, save for a one-person home office. Businesses may have to support multiple employees all connected at once, might need to operate servers, and could be frequently transferring very large amounts of data. Depending on your commercial requirements you might be able to use an FTTC or Virgin Media HFC business broadband service, for which you'll find an extensive choice of very affordable business broadband deals. But businesses operating across multiple sites, requiring remote file access, video conferencing, and other online collaboration and training tools, will benefit from FTTP or specialist business broadband leased lines. Hyperoptic runs its own FTTP network which offers speeds up to 1Gb, though slower (and cheaper) speeds are also available. Coverage is fairly limited in comparison to other providers, but it is excellent value for money if you can get it. It's currently available mainly in larger towns and cities, and is often installed in new build blocks of flats. BT has the largest FTTP network, with around 900,000 premises covered by fibre broadband up to 1Gb. It plans to expand to cover three million premises by 2020. UFO is an FTTP project from Sky and TalkTalk. It is currently limited to York, but plans to expand to other cities. For areas limited to FTTC broadband, you have a choice between the Openreach and Virgin Media networks. Recent upgrades to the Virgin Media network to compete with FTTP have resulted in higher speeds. The lowest you can expect from Virgin Media is around the 50Mbps (the VIVID 50 package) at £27 per month, up to 350Mbps (VIVID 350) for £50 per month. Other fibre optic providers (such as Sky, TalkTalk, EE, Post Office, Plusnet, and countless others) use the Openreach network. More than 90% of premises now have access to FTTC broadband using a regular telephone line. FTTC is the most widely-available high speed broadband service in the UK, with 95% coverage for speeds of 30Mb+. This is including the Virgin Media network, which by itself covers around 65% of premises. FTTP is far more limited, with only about 3% of premises having access to an FTTP service. While Openreach has a goal of delivering FTTP to 10 million premises by 2025, it's going to be years before FTTP can attain the same level of coverage as FTTC. In the meantime, Openreach is using G.fast technology to provide higher speeds on copper connections. To find out if you can get high speed fibre broadband via FTTP, use an FTTP checking tool. This is a simple form provided on an ISP's website to let you easily check if FTTP has been rolled out to your area. If not FTTC is probably the best alternative (unless you live in rural areas). As the providers of the FTTP infrastructure, Openreach offers a comprehensive FTTP checker. Simply input your postcode and select your address, and the checker will display FTTP-based broadband options. Checking tools can also display the availability of FTTC broadband. Broadband Genie's own postcode check tool on any of our broadband deal pages will let you know what is available in your area.